Starting the day with the right energy and frequency is very important. I am big a believer in doing meditation, yoga, and exercising in the morning. Even with all of that, sometimes my mood and thoughts can be dominated by fear or anxiety.To help counteract this, I have a list called my “Daily Energy” which I work through each morning. It only takes a few minutes. I can do it on my morning walk or in bed or at the breakfast table. I have the list written on a 4 by 6 inch index card. Of course your smart phone will do the job also.So, what is on my list? 1. Daily gratitude statement: “Divine Mother, I am grateful for this day, this life, and this body”. Note Divine Mother is the term I use for the divine, feel free to use what ever is comfortable for you (God, Spirit, Universe etc.) Thank you Wayne Dyer for this one.2. Statement of service: “Divine Mother, how can I serve you today”. The idea is to direct one’s energy towards higher values of service. Thank you Divine Mother Guidance and Healing for this suggestion. 3. Affirmations and declarations: I say these say out loud. I’ll share one of the ones I use. “Everything is going to work out beautifully, the universe will work it out for you.” I usually say them three times. I’ve heard from different guides there is power in saying a declaration three times. 4. Acknowledgement of gifts: I was inspired to do this after I pulled a card from an oracle deck. It said I wasn’t appreciating the gifts that the divine was bestowing on me. I’ll say something like “Dear God, thank you for the delicious food I had yesterday, the hot shower, the phone call from my brother” etc. If you are not used to doing this you will be surprised how man gifts we receive every day. If you are going through a difficult time, this exercise is very powerful for bringing you back to the present and focusing on what you have, rather than what you don’t have. 5. Daily blessings: I was inspired to do this both from Matt Kahn and Divine Mother Guidance and Healing. I have a list of people, mainly close family and friends that I send a blessing to. Sometime I will send a blessing to a difficult situation in the world. I use the words “May you be blessed” and “Divine light is pouring into you”. Focusing on blessing others lifts my spirit and shifts me into a state of service rather than worrying about my own challenges. My spirit guides have told me that it does have a real impact. 6. Focusing on my vision: I have a separate card which I have written my vision of how I’d like my future to be. Focusing on a bigger vision daily keeps me inspired. I hope you’ll find something inspiring from my “Daily Energy” list. Feel free to steal some of the ideas and add your own. 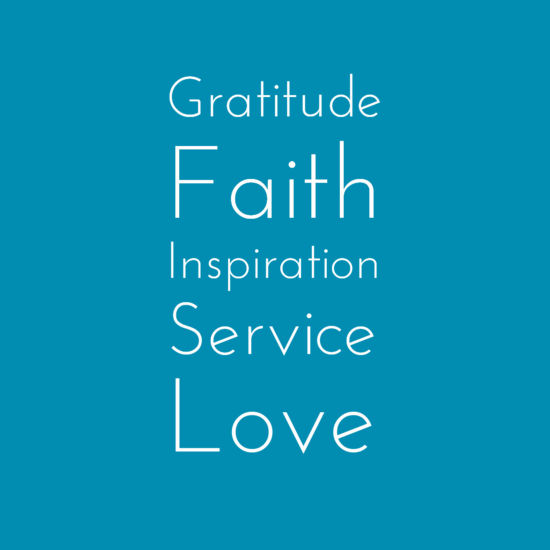 The key for me is to express gratitude, remind myself to have faith, think of others, and be inspired. Be kind to yourself. The human journey can be very challenging and even more so as the light frequencies on the planet intensify.